Slash your gym time while improving your results! In today&apos;s fast-paced world, everyone deals with a hectic schedule. It&apos;s common to have a full- time job (or maybe even two), and a family or significant other demanding time and attention. In addition to these primary factors in our lives, there are also small "time-suckers" that are hard to account for but always seem to pop up during the day. It can be very difficult to juggle everything that needs to get done, let alone things that you want to do, like going to the gym or maintaining an active social life. In the midst of all the craziness, time management is critical to accomplish everything. Unfortunately, it often seems like there isn&apos;t enough time in the day to complete your workouts. However, if developing a healthy and fit body that you&apos;re proud of is your goal, make it a priority and find a way to fit it into your schedule. Fortunately, if you&apos;re strategic in how you devise your workout program, you can slash your gym time in half without sacrificing your results. Let&apos;s take a look at some of the top ways to make your workouts like a recon mission -- getting in and getting out while still achieving objective. the time while still being effective. A great way to instantly cut back on your workout time is to be completely honest with yourself about how long of a rest period you take between each set. Most of us take longer breaks between sets than we really need for hypertrophy. This can unnecessarily prolong your workout duration without any added benefit of recovery. Walking to the water fountain, chatting with your workout partner, or not knowing exactly what exercise you&apos;re doing next are all minor offenses that can have major effects on amount of time that you spend in the gym. So if you want to ensure that you don&apos;t go into gym "overtime," start timing your gym sessions with a stop watch. Using this method will not only save you time, but will even improve your results tremendously. It&apos;ll ramp up your overall workout intensity and help you learn to push through fatigue. Keep your rest periods at approximately 30 seconds after any isolation exercises and 60-to-90 seconds between compound exercises. While you don&apos;t want the quick turnaround to cause you to have to drop your poundage, keep those rest periods short and snappy. 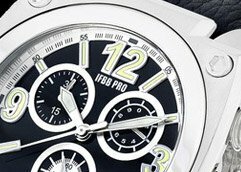 Watches Check out high quality watches to streamline your fitness lifestyle! Another technique that you can start adding to your workout to get in and out of the gym faster is the superset. These consists of two or more exercises done in a row without a break. It doesn&apos;t just have to be two exercises for opposing muscle groups, however. You can also superset a lower-body exercise along with an upper-body movement. This will dramatically reduce your downtime, since your lower body will be resting while you perform the upper body exercise, and vice versa. You may find that you only need 30 seconds of rest after each superset, so this is one way to create a truly fast-paced workout. As an added benefit, supersets tend to crank up your heart rate, making them perfect for those looking for maximum fat loss. Superset two compound exercises whenever possible, because you&apos;ll engage more muscles than just the one involved in an isolation exercise. As a result, you&apos;ll get more muscle utilization for each precious minute you invest in that session. If you&apos;re looking for maximum results in the shortest time, opt for full-body workouts. These are great because they allow you to hit each muscle group two to three times per week, with each session needing to last only 40-to-60 minutes. Full-body workouts can work great for people who are looking to lose fat, as well as for those seeking muscle mass. So this workout design can be beneficial whatever your goal, and can help you save time in the process. Whole-Body Training Say Hello to whole-body training, and teach your muscles how to contract properly with classic lifts designed to generate strength and mold muscles. Another must-do if you&apos;re trying to "cut-the-fat" in your workout time is to get very serious about your diet. If you&apos;re currently spending a lot of time doing cardio because you&apos;re trying to offset the calories you&apos;re consuming, then this is one area you could cut back on -- if and only if you start eating healthfully. The stricter you are with your diet, the less cardio you&apos;ll require, because you&apos;ll be consuming fewer calories that need to be burned off in the first place. So, if you&apos;re frustrated because you feel like you have to spend too much time on the treadmill to hit your fat-loss goals, it&apos;s time to take a good, hard look at your food intake. Fix that, and you&apos;ll instantly free up this time. This doesn&apos;t mean you should eliminate cardio, however. I would still recommend a couple shorter cardio workouts each week to maintain cardiovascular health and overall conditioning. can limit your time spent in the gym. Finally, the last way to shorten up your workouts is to focus on pre-exhausting your larger muscles before doing your compound exercises. 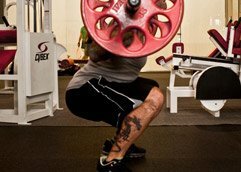 Many people perform compound exercises first followed by isolation lifts. But that&apos;s not necessarily the most efficient way to do it. If you bust out few sets of isolation exercises first before doing your compound movements, you&apos;ll require fewer total sets of the compound lift to fully exhaust the muscles. For example, when targeting your chest, begin with flyes, isolating your pecs. Then transition to bench press for the compound movement. The end result is that fewer sets of the bench press will be required to fatigue your pecs. So there you have it! Those are my top tips that you can start implementing into your training regimen to free up more of your schedule. It&apos;s important to remember that you don&apos;t have to sacrifice fitness progress to maintain your daily life. You may also want to take a good look at what you are doing throughout the day and see if perhaps your time is being eaten away by activities that just aren&apos;t really all that important. If getting in shape is a top priority then you need to treat it as such, and find a way to carve out time in your daily schedule. The Top 10 Reasons To Use Full Body Workouts! Ask the $250/Hour Trainer: How Can I Train Effectively With Limited Time?